I’m sure I speak for almost all women when I say that I really have way too many purses. We all know that we don’t technically need more than 2 or 3 bags, but it’s nice to have variety – I’m really not complaining! 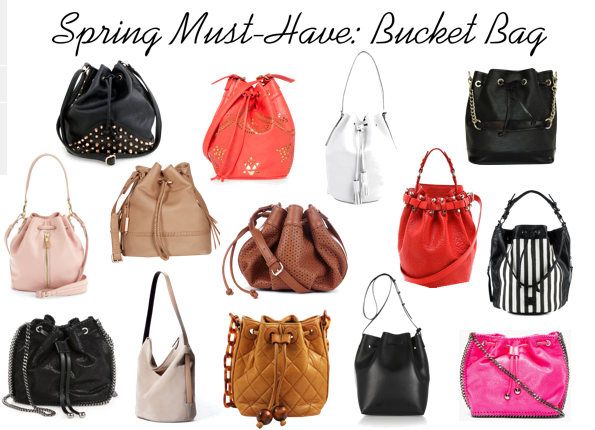 So heres another one to add to the collection – a bucket bag. They’re great for when you’re doing something that requires you to be hands-free but still want to look chic.